While your baby should always sleep on her back for safety, she also needs “tummy time” daily, beginning at birth. Initially, laying your little one on her tummy helps to strengthen her motor skills that include raising her head, rolling over, and eventually sitting up. But that’s not all. Tummy time will benefit your little one’s brain development as well. She will see her world from a different perspective, helping her to become more aware of her surroundings. At first, your little one will probably cry during tummy time because it will feel foreign. Start slow, letting your baby lay on her tummy for a few minutes at a time, building up for longer periods. 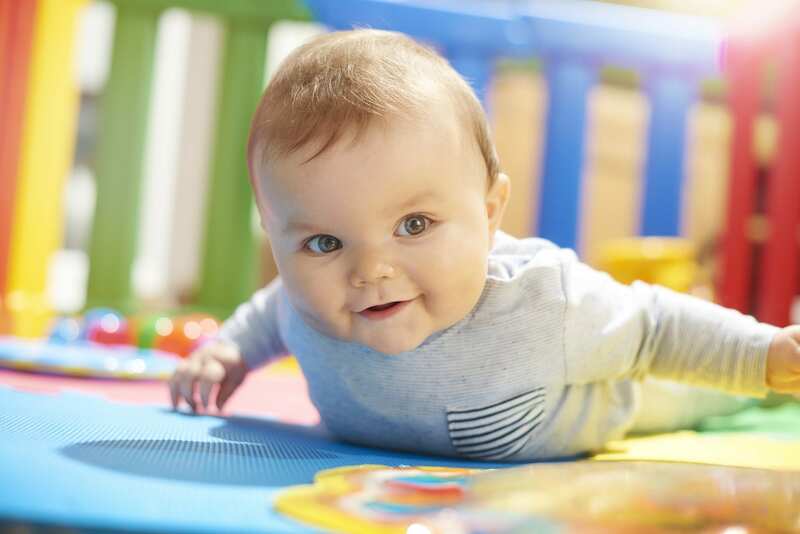 Tips for making tummy time fun! 1. Lounging on your chest/tummy. 2. Laying on the bed (with your supervision). 3. On a play mat. 4. Supported by a pillow.